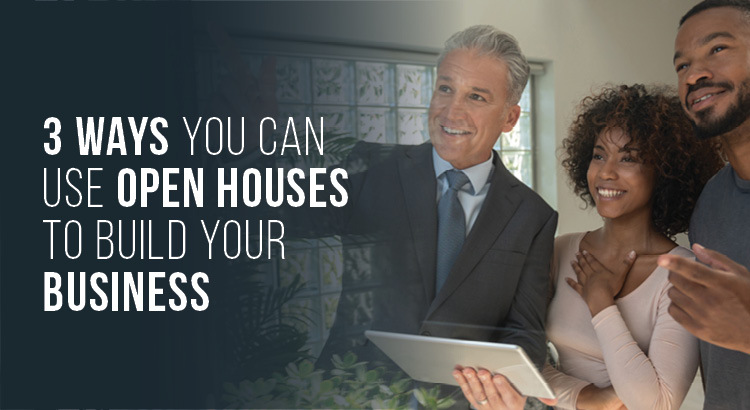 Increased earning potential, financial freedom and control over their vision of business are the main reasons real estate agents start their own brokerage. 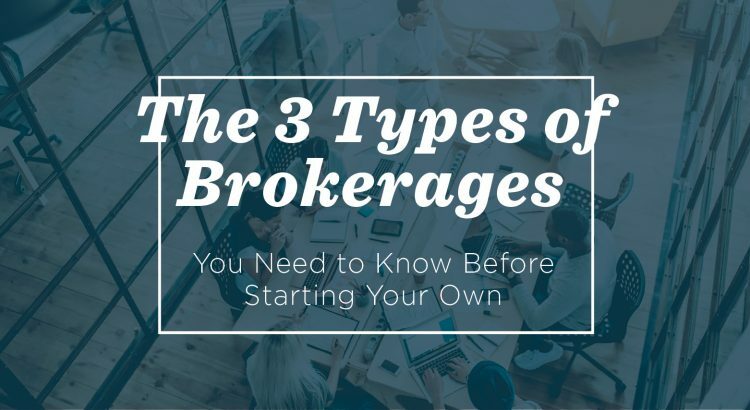 However, there are a lot of challenges associated with starting and running your own brokerage. It means more work for you, at least at first, and more risk. So, you have to be certain your reasons for hanging your own sign are the right ones. Before reviewing the steps of the planning and transition process, think about what you can confidently take on and where you may need some help. These are important things to consider before you decide to go out on your own. Do you understand the financial and personal risks, and are you willing to accept them? Do you feel confident that you can manage and run all aspects of your own business? Have you put your financial plan together? Do you have enough capital to support your efforts? Do you have the right people lined up to join your business? If not, do you have a recruiting plan? If you answered “yes” to all of these questions, then you could be a good candidate to open your own brokerage. But there is a lot that you need to know before you do. Make sure you account for potential practical, political and emotional issues when leaving your current business. 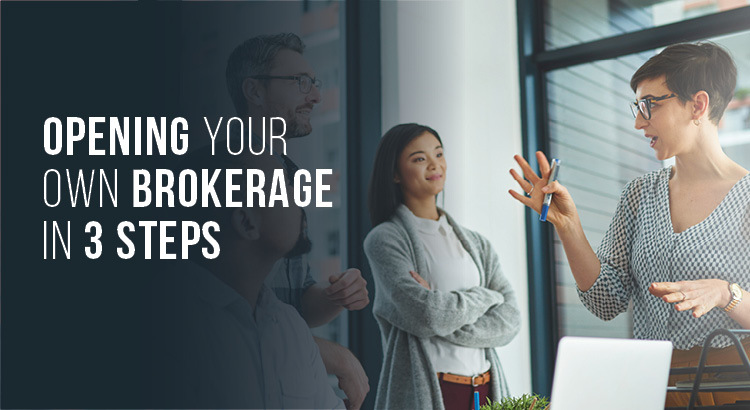 You’ll still need a strong professional network once you open your brokerage, so make sure you don’t burn any bridges during the transition. What will the process be? Who do you need to speak with, and when? How will your current brokerage react? How will you handle any sales that are currently in process? Does your brokerage have your database, and do they have the right to use it after you leave? What if other agents want to leave with you? Where will your new office be? Would your new office be in direct competition with your current office? What are your obligations to the brokerage, the managing broker and other agents in the office? Along with an exit plan, you’ll need to write up your plan for the new business. What will your business model look like? Begin by deciding on a business model. What specialties will you offer? How many agents will work with your brokerage? How will the brokerage support them? Outline the roles you will play, as well as any additional responsibilities you’ll have to take on. Figure out which roles you need to hire for. Use technology to help fill in the services you lose by separating from your old brokerage. Draw up a transition plan for your team that details how workflow will continue through the changeover. Nothing can happen until all the financial pieces are in place, so you’ll need to be an expert on your budget. Opening your own brokerage will require a financial investment. Can you fund the start-up costs on your own or will you need to borrow capital? What about investors? Many businesses fail because they are under-capitalized. Make certain that you have enough capital to manage startup costs. Plan to cover operating expenses with savings for at least six months, including rent and utilities. You’ll need to budget for office equipment and marketing expenses. Make sure to include insurance costs for your business, fees for any online services you use, membership fees and other miscellaneous items. Selling a truly unique luxury property is different from your typical sale. It requires a more focused approach and a more sophisticated touch. Clients whose homes are worth many millions expect that special measures will be taken to market their property. Sometimes agents will need to take extraordinary measures. When there is competition in the luxury market, there is an increase in high-end open houses — elegant and expensive events that spare no expense in showing a listing’s best qualities. This is not a typical open house. 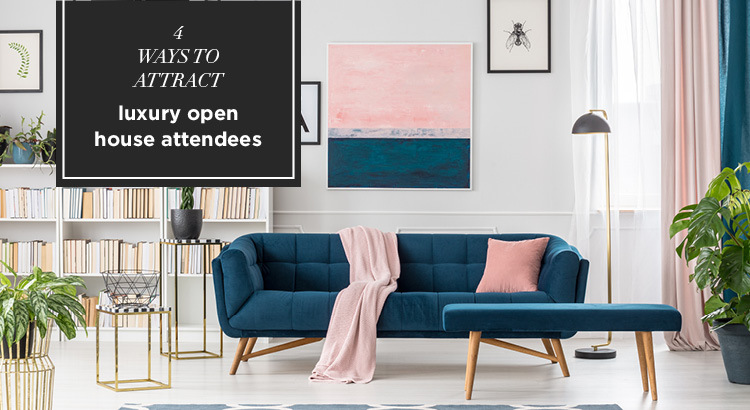 In this blog you’ll learn some of the ways that you can host a unique event to showcase a special property. If you’re part of the TL:DR crowd, then start your seven-day free trial of AgentEDU today and watch the full course. In many cases, traditional media is still very effective for the real estate business. Agents may be getting great results from direct mail postcards and advertising in print and online. Using postcards to let neighbors know what you have just listed or just sold works because it offers market information, plus exposure for listings and for yourself. Make sure the photos look great, the message and the call to action is clear and that the brand is properly reflected. Advertising in print is effective in certain markets, though not in others. Online advertising allows potential clients to click through the ad to your website or email. And don’t forget to look into marketing opportunities on syndication sites like Zillow. These can help with lead generation as well. Ultimately, advertising works best when you know who your target market is and how to best reach them. With social media’s important role in marketing, most real estate agents maintain at least one social media account for their business. Facebook, Twitter, Pinterest, Instagram and Snapchat are among the most popular, but additional networks may emerge, and you’ll need to be ready. The idea is to keep your company relevant and useful. If you can find a specific angle that can bolster your brand, all the better. Create an editorial calendar that runs at least three months out so that you can map out a strategy and use any analytics that are available to optimize and refine your message. Social media holds a varying level of importance, depending on your target market, but no agent can afford to neglect it entirely. A completed transaction is not the end of the relationship. There is still marketing work to do! Start with surveys, testimonials and reviews. It’s a good idea to send a survey to clients after a transaction is finished to let them share the pros and cons of their experience with you. This information can help you make improvements to systems and services. 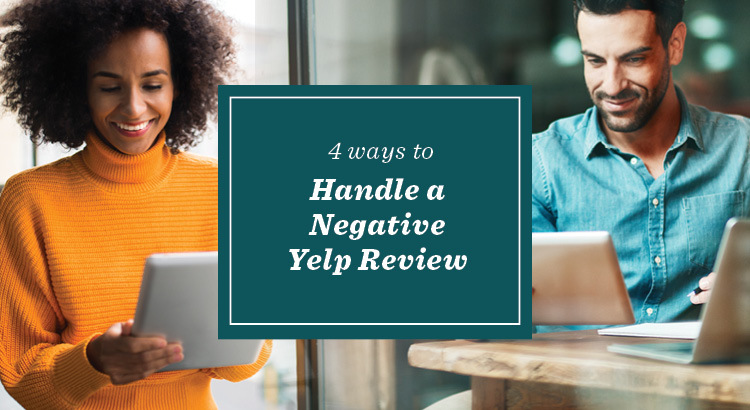 It’s also a low-pressure tactic to ask for a testimonial and an online review. There are third-party survey services that are simple and inexpensive to put into practice. This should be part of your operating procedure at the close of every sale. And getting testimonials and reviews on sites like Yelp can really help you expose your brand to new clients and stand out from the competition. Lastly, one of the best ways to market your business is by simply being top-of-mind when it comes to real estate in your neighborhood. The simplest and most effective way to do this is by actually spending time participating in local events. Have a presence at festivals and town meetings. Consider volunteering at the local school. Suggest that your brokerage sponsor neighborhood events, or simply make sure to get a table at them. You may want to keep track of event opportunities and attend yourself. Seek out opportunities to put yourself in front of the right target market. No one likes someone who only talks business, but there’s nothing wrong with being helpful and relevant. 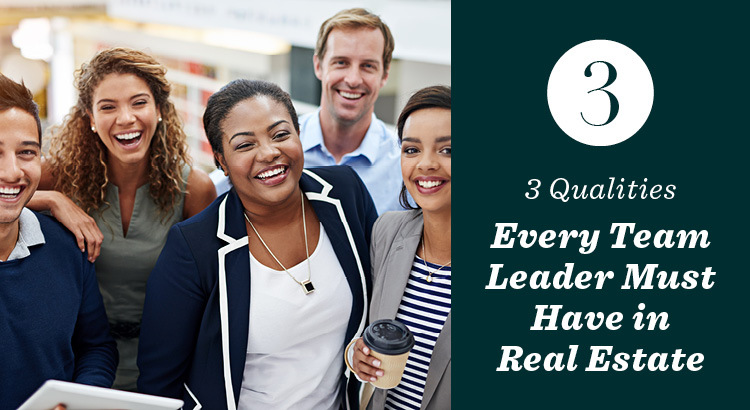 If you keep your ears open and participate with people, you will find organic ways to help market a company that truly is a part of the neighborhood. All in all, it’s important to remember that selling homes is just one part of your business. It’s just as imperative to ensure that your business has a future flow of potential customers and that your brand and reputation is being managed in the best way for you and your business. Many successful agents reach a point in their careers where they need more sophisticated marketing and advertising strategies. Though many brokerages offer this kind of support, top agents often outgrow typical offerings and want to take brand marketing into their own hands. If this is where you find yourself, or you just want to stand out from your competition, you may want to consider tailoring your relationship with your in-house department or using an outside marketing firm that can offer you something different. In this blog you’ll learn the pros and cons of working with in-house personnel vs. outside firms and how to determine what you really need from your marketing campaigns. If you’re part of the TL:DR crowd, then start your seven-day free trial of AgentEDU and watch the full “Using In-House Vs. An Outside Ad Agency” course. For many agents, the cost of working with a professional agency is the most important consideration in deciding who will handle marketing and advertising efforts. While you investigate whether or not your brokerage can do the job for you, consider these questions. Can you get discounts for media placement? If your brokerage already has an advertising contract with a particular media outlet, you may be able to benefit from their frequency discount. Many media outlets offer lower rates on advertising space based on the number of placements purchased. If your brokerage secures a substantial media buy, and in return offers you discounted pricing for the space, you may see a significant savings when compared to buying media placement on your own or through an outside agency. Does your brokerage offer opportunities to include your listing in ads that advertise multiple listings? What does it cost to be included? This opportunity may give you access to media space you couldn’t afford to purchase on your own. Do the research, because there may be considerable cost advantages to using brokerage resources. When you work with your in-house marketing department, you may be offered different payment options. You may pay for time, per project or creative services may be a free perk for top producers. It’s up to you to negotiate your own marketing package. You can compare the services offered in-house to those of an outside agency. However, keep in mind that most brokerages are less inclined to help you build a significant brand outside of the brokerage. You’ll need an outside agent if you want to secure a higher level of attention to your own brand. Let’s talk about the resources available to you. You’ll have to know what your options are before you can plan. Is there a skilled in-house marketing department that can provide the creative services you need? Is there a strategist on the team? Is there a graphic designer who will execute your direction? Are there professional copywriters? Building effective ad campaigns and branded marketing is a highly creative pursuit, and quality may be subjective. As most agents have real estate expertise but are not trained creative artists, there may be a tendency to underestimate the value of quality design and to misunderstand how messaging can help or hurt marketing efforts. While agents may not recognize low-quality design or copy, many consumers do see the difference. Once you get a feel for it, you will see why some brands outperform other brands even when the actual products are very similar. It may seem too costly to hire professionals, but it will cost you even more to spend your ad budgets on ineffective designs and messaging. The qualifications of the people you hire to execute this creative work can vary greatly. When reviewing candidates, look for artful attention to detail and an understanding of how to connect with audiences. Seek out creative people who know the principles of design, messaging, effective calls to action and brand standards. Ask for portfolios and past work and have them explain their process to you to see if you’ll work well together. As in the real estate business, you may find your best candidates through referrals. Ask your colleagues if they have recommendations for marketing professionals or teams. Interview several candidates and get a feel for who would be a good fit. These people will be a part of your extended team, helping you identify your vision and meet your goals. Don’t be intimidated. Some very good ad agencies are small shops while others are huge companies. If you are unsure if a particular agency is appropriate for the budget you have in mind, just ask. 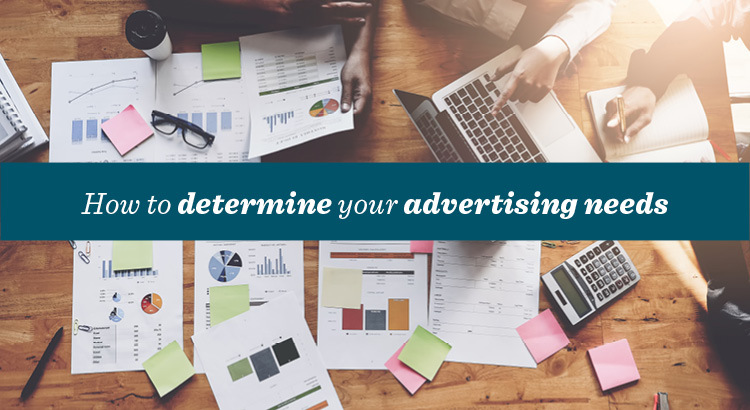 To learn more about how to determine the marketing needs of your real estate business, as well as how to develop an advertising campaign that works, begin your seven-day free trial of AgentEDU today and start with our eight-course advertising track. Receiving a low appraisal can be frustrating. If you’ve done the appropriate research and if all the parties agreed to the price, then it can’t be too far off base, right? So what options are available to you if the appraisal you received isn’t what you and your client expected? If you’re one of those TL;DR types, then start your seven-day free trial of AgentEDU today and watch the full course, “How to Handle a Bad Appraisal“. Try to get the appraisal adjusted. Before taking this route, be sure to let your clients know that it’s difficult to get an appraisal changed. You can ask the appraiser to return, provide additional information to support your own findings, or have the lender send out a different appraiser take a look, but this is an extra expense and rarely yields positive results. Apply for a loan with another lender. Another route you can take is to have the buyer apply for a loan with a different lender. 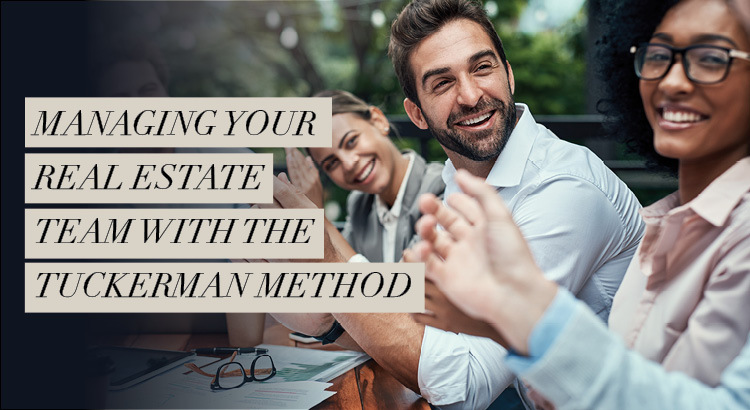 There may be new fees incurred, but if you’re sure that the appraisal was simply wrong and you can’t get it changed, this may be the best way to get the property reappraised and produce a more favorable outcome. Have the clients agree to a new price. You may have to ask your buyer to agree to a new price or put in a higher down payment, or ask the seller to lower the price to meet the appraisal results. If you’re representing the buyer, you may want to try to get the price renegotiated. Putting the price in line with the appraisal can be a chance to get a better value for your client. If you’re representing the seller, your goal is to get the buyer to make a higher down payment — because the lender is really only concerned with the amount of the loan, not the total price of the property. These negotiations can be tricky, and both sides might have to give a little. What happens will depend on the market and how motivated the buyers and sellers are. But at the end of the day, the most successful agents avoid this situation by having an appraisal strategy already in place. To learn more about how to overcome a bad appraisal and how to make the most of the appraisals process, explore our Appraisal track at AgentEDU. AgentEDU features more than 70 different courses, each designed to teach agents the best practices for every situation. From daily core skills to high-level negotiations and everything in between, AgentEDU helps agents become top producers with increased earnings and a plan for continued growth. Attracting qualified buyers is one of the most important skills that sellers will expect from their agents. An assistant can be extremely useful in helping agents with this essential task. 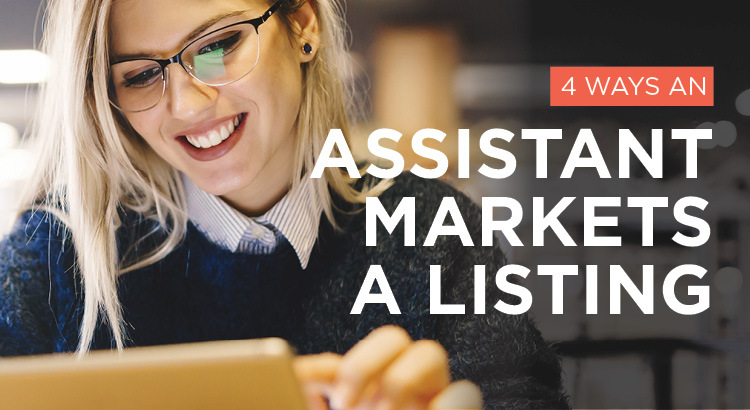 In this blog post, you’ll learn four ways an assistant can help marketing your listings. In many cases, traditional media is still effective for the real estate business. For example, use postcards to let neighbors know about a new listing or a recently sold home. This offers market information, plus exposure for listings and the agent. Make sure the photos look great, the message and the call to action are clear, and that your agent’s brand is properly reflected. Print advertising is effective in certain markets, but not in others. Online advertising allows potential clients to click through the ad to the agent’s website or email. Also: Don’t forget to look into marketing opportunities on syndication sites like Zillow. These can help with lead generation. Ultimately, advertising works best when you know who your target market is and how to best reach them. Facebook, Twitter, Pinterest, Instagram and Snapchat are among the most popular social media networks, but additional networks may emerge and you’ll need to be ready. The idea is to keep your company relevant and useful. If you can find a specific angle that can bolster your brand, all the better. Create an editorial calendar planned three months in advance so that you can map out a strategy and use analytics to optimize and refine your message. A completed transaction is not the end of an agent’s relationship with their client. It’s a good idea to send a survey to clients after a transaction is finished to let them share the pros and cons of their experience with your agent. This information is useful to agents so that they can make improvements to their systems and services. It’s also a low-pressure tactic used to ask for a testimonial and an online review. In order to create and send a survey, you can use a simple, expensive third-party service. And getting testimonials and reviews on sites like Yelp can help an agent attract new clients and stand out from the competition. One of the best ways for agents to market their business is by having an active presence in their communities. Assistants can be on the lookout for what’s happening in the local area. You can keep track of event opportunities for your agent and maybe even attend some of them yourself. They will give you the opportunity to meet potential clients and share more about your business while having a little fun along the way. Selling homes is just one part of an agent’s business. It’s just as important to ensure that your agent will have a steady stream of business, and that your agent’s brand is professional and visible within the community. To learn more about a real estate assistant’s role, start your free seven-day trial of AgentEDU today and explore our 8-course track dedicated entirely to training assistants in the unique needs and demands of the real estate industry.